I have faced issues with SQL ServerManagement Studio intellisense as it was not functioining. Even I enabled intellisense but it still not showing any suggestions for autocomplete. 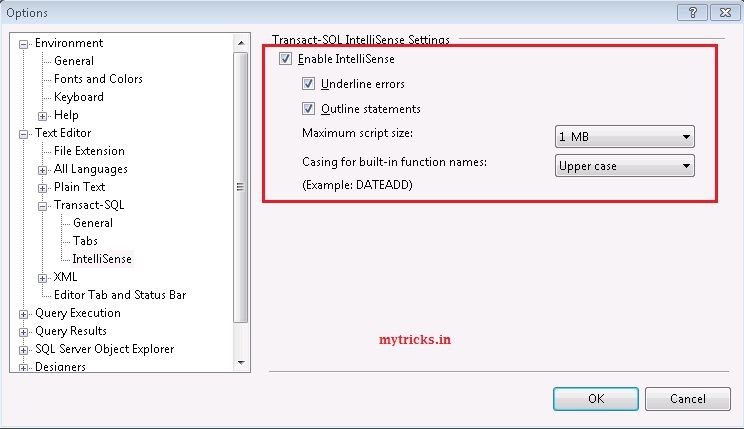 I have followed below steps to enable SQL Server ManagementStudio intellisense. The IntelliSense feature provides suggestions for how to complete SQL queries. Additionally, the feature provides query validation when you create SQL queries in a query window in SSMS. When this issue occurs, SSMS 2008 R2 does not provide suggestions for how to complete queries and does not highlight errors in SQL queries by using red wavy lines. 1. Connect to your SQL Server 2008. 2. 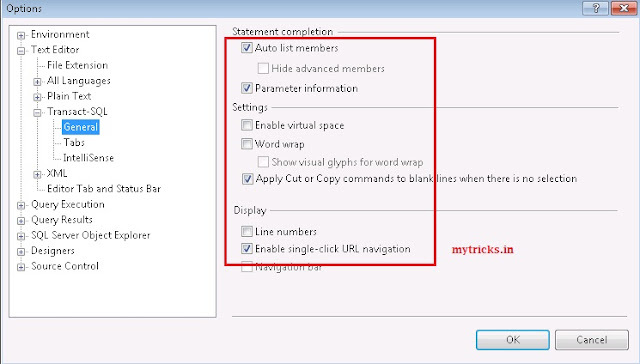 Go to Tools-> Options-> Text Editor-> Transact-SQL->IntelliSense & make sure all below settings are enabled as shown below. 3. Select any database & right click on it & click on new query. 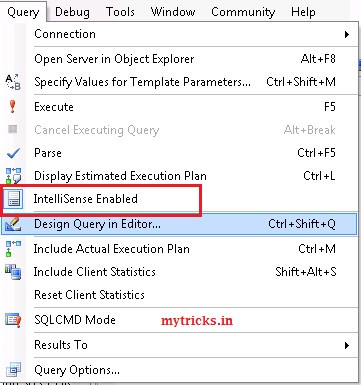 Now Click on Query tab as shown below & check whether intellisense enabled or not. 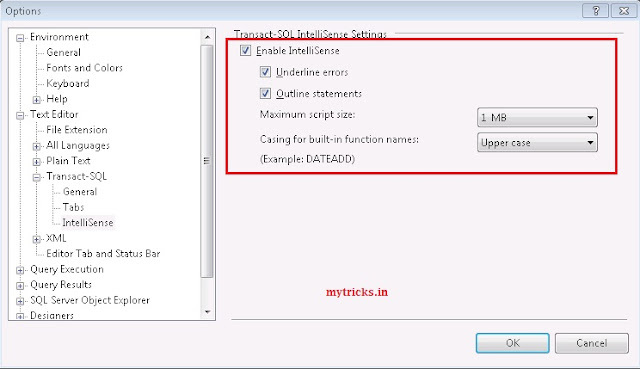 If intellisense does not work even after above steps then you need follow below steps to start intellisense option.